Dr. Azizur Rahman Khan, Professor of Economics Emeritus, University of California Riverside, USA visited BIDS and gave a talk on the topic “Bangladesh: The Next Asian Tiger?” on 12th February at 3 P.M. In the seminar Dr. A R Khan talked about possibilities of Bangladesh being the next Asian tiger. He also presented some facts and figures on the social indicators of development, employment scenario of Bangladesh and India, growth rate, export-GDP ratio, investment and savings and trend in the tariff rates. An interesting Q&A session wrapped up the seminar. BIDS researchers attended the seminar and shared their views with him. 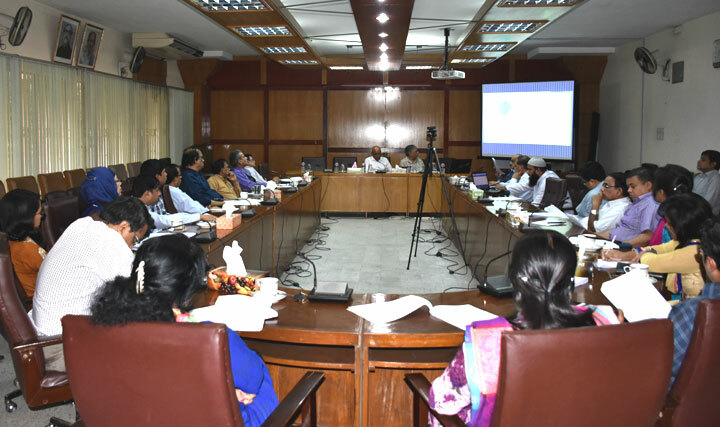 Dr. Rehman Sobhan, Dr. Rizwanul Islam, Dr. Zaid Bakht, Dr. Biru Paksha Paul and the senior researchers of BIDS had a useful interactive session with Dr. Khan. Dr. K A S Murshid, the Director General of BIDS chaired the seminar.